For over a year these 2 contemporaries have locked themselves in the studio once a week to diligently shape and craft a new offering, Ashes To Dust. Ciecmate & Maggot Mouf trade verses back and forth, bar-for-bar in an epic team effort that interlocks prose and sonic aesthetics seamlessly. The joint delivery puts forth a tag-team approach reminiscent of a classic hip hop style that has not yet permeated Australia’s often individually focused scene. The insane turntable prowess of DJ No Name Nathan (2 x ACT DMC Champion) stitches the release together, officially making Known Associates a triple threat. 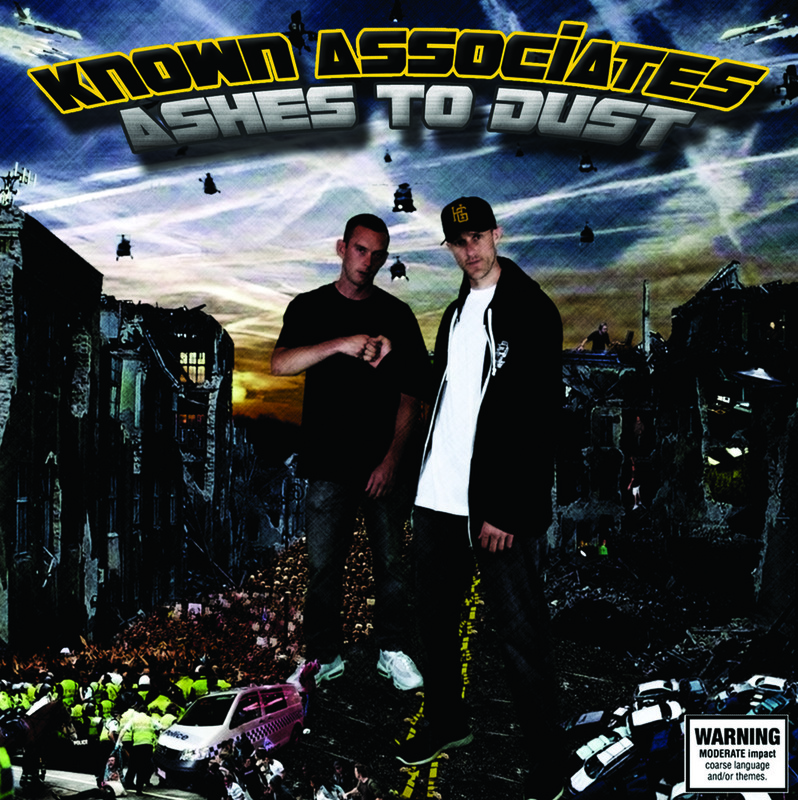 The production on Ashes To Dust is rich in melody, hypnotic drums, and deep bass. With a heavily atmospheric and diverse aesthetic, ranging from dark and brooding to bright and positive. The thematic landscape is all encompassing, covering a diverse range of relevant topics with a strong conviction and symbiosis. From party anthem Known Associates, to the thought provoking Beware Of Bio Chips, or the summertime soundtrack Short Shorts, this is no mere journey, it’s an adventure. Previous Post Sarm: Self Titled Debut Album, Out Now!